Many VPN companies promise to use strong encryption to secure data, and say they protect users' privacy by not storing records of where people access the service or what they do while connected. If everything worked the way it was supposed to, someone snooping on the person's computer would not see all their internet activity – just an unintelligible connection to that one computer. Any companies, governments or hackers spying on overall internet traffic could still spot a computer transmitting sensitive information or browsing Facebook at the office – but would think that activity was happening on a different computer than the one the person is really using. However, most people – including VPN customers – don't have the skills to double-check that they're getting what they paid for. A group of researchers I was part of do have those skills, and our examination of the services provided by 200 VPN companies found that many of them mislead customers about key aspects of their user protections. The companies that did post privacy policies varied widely in their descriptions of how they handle users' data. Some policies were as short as 75 words, a far cry from the multi-page legal documents standard on banking and social media sites. Others did not formally confirm what their advertisements suggested, leaving room to spy on users even after promising not to. 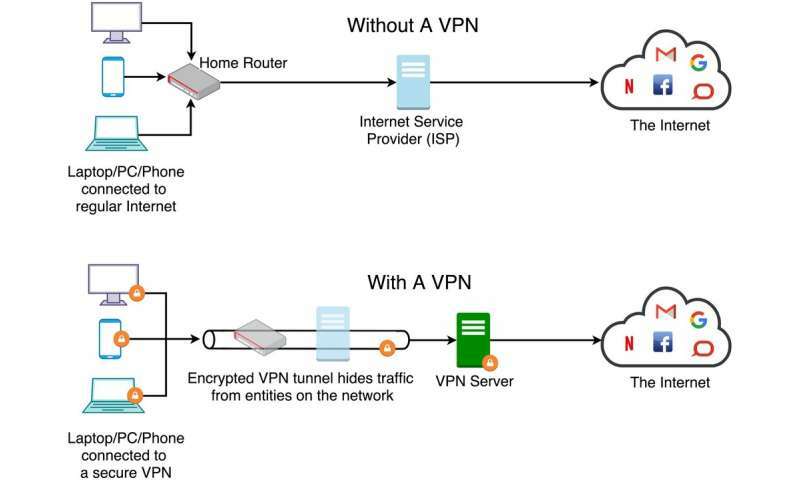 Much of the security of a VPN depends on ensuring that all the user's internet traffic goes through an encrypted connection between the user's computer and the VPN server. But the software is written by humans, and humans make mistakes. When we tested 61 VPN systems, we found programming and configuration errors in 13 of them that allowed internet traffic to travel outside the encrypted connection – defeating the purpose of using a VPN and leaving the user's online activity exposed to outside spies and observers. Also, because VPN companies can, if they choose, monitor all online activity their users engage in, we checked to see if any were doing that. We found six of the 200 VPN services we studied actually did monitor users' traffic themselves. This is different from accidental leaking, because it involves actively looking at users' activity – and possibly retaining data about what users are doing. Encouraged by ads that focus on privacy, users trust these companies not to do this, and not to share what they find with data brokers, advertising companies and police or other government agencies. Yet these six VPN companies don't legally commit to protecting users, regardless of their promises. We found, though, that those claims of international presence aren't always true. Our suspicions were first raised when we saw VPNs claiming to let people use the internet as if they were in Iran, North Korea and smaller island territories like Barbados, Bermuda and Cape Verde – places where it's very difficult to get internet access, if not impossible for foreign companies. When we investigated, we found some VPNs that claim to have large numbers of diverse internet connections really only have a few servers clustered in a couple of countries. Our study found they manipulate internet routing records so they appear to provide service in other locations. 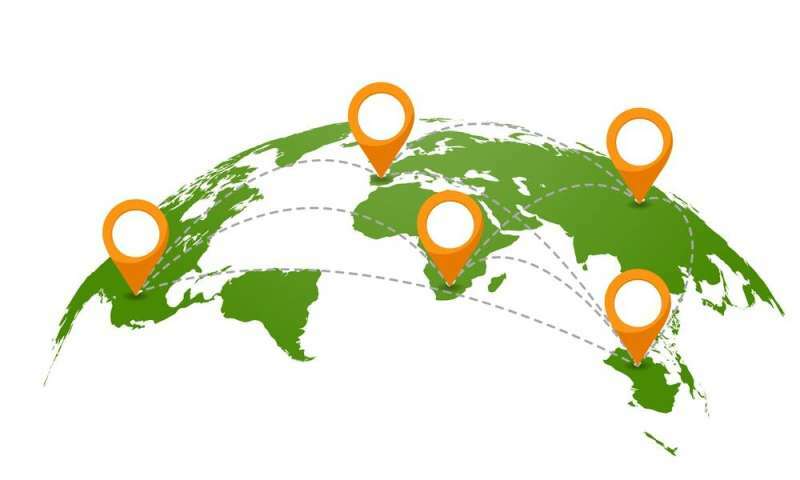 We found at least six VPN services that claim to route their traffic through one country but really convey it through another. Depending on the user's activity and the country's laws, this could be illegal or even life-threatening – but at the very least it's misleading. Technically minded customers who are still interested in VPNs might consider setting up their own servers, either using cloud computing services or their home internet connection. People with a bit less technical comfort might consider using the Tor browser, a network of internet-connected computers that help guard its users' privacy.